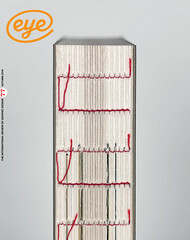 Below: Cover of The Ride, no. 3 (November 2009) produced by ilovedust, an East London / Hampshire-based ‘multi-disciplinary design boutique’. Top: ‘Riders: Dave Watson leads Robbie Bourdan. 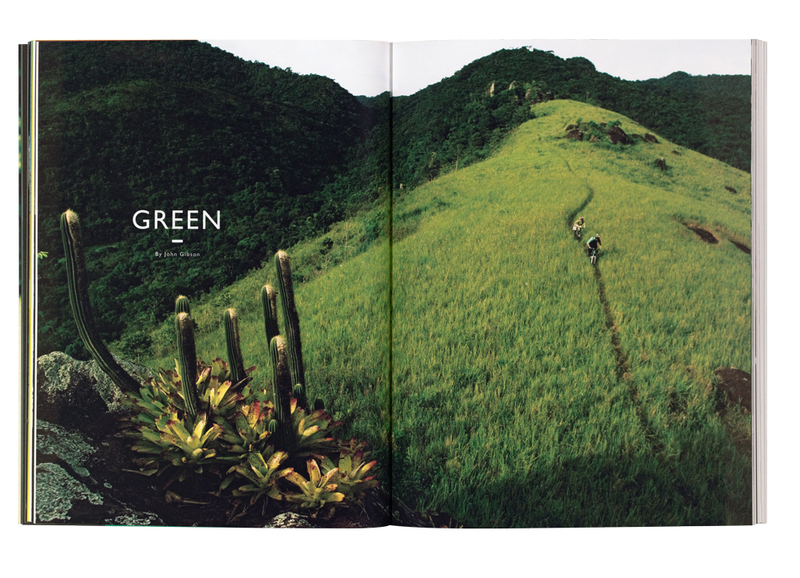 Location: Ilhabela, Brazil’, from ‘Green’, John Gibson's photo feature about mountain biking, no. 4 (May 2010). A traditional, classic feel is emphasised by typefaces such as ITC Golden Cockerel (a redrawing of a typeface Eric Gill designed for Golden Cockerel Press). 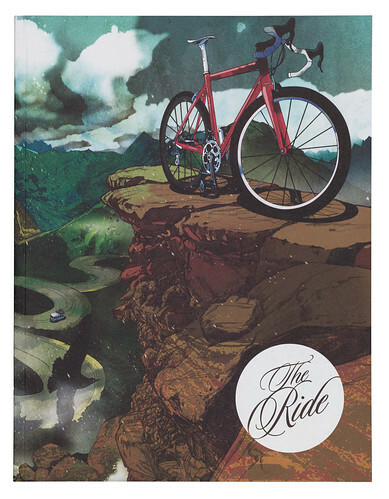 The Ride is part of a recent growth in well designed bike magazines that ditch tech specs and product reviews in favour of high-quality photography, illustration and personal stories. Since its launch in May 2006, racing magazine Rouleur has set the tone for this new breed of bike magazine. Much of the practical information once found in specialist print magazines – price lists, racing fixtures and results, product comparisons, etc. – has moved online. Magazines such as Rouleur fill a different niche, with an emphasis on narratives, beautiful imagery and boutique production values. 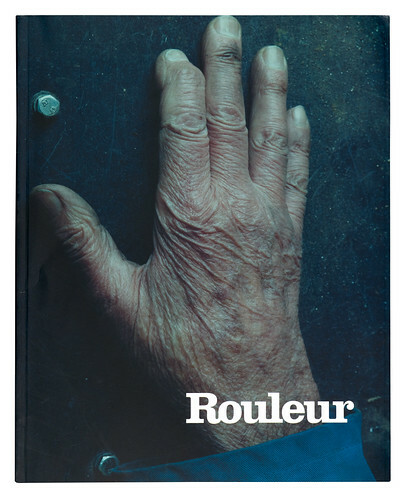 Below: Cover of Rouleur, no. 19 (2010). Photograph by Nadav Kander. Perhaps tellingly, book publishing is another of Rouleur Ltd’s activities. As well as nineteen issues of the magazine, it has published three photography annuals and Le Métier, a book by Michael Barry, who rides with Sky’s pro cycling team. A book of portraits by cycling photographer Timm Kölln is in the pipeline and Privateer, described as a ‘Rouleur for off-road cycling’, launches this Autumn. But while Rouleur is part of an established commercial publishing company, many of the smaller publications are put together with the resources of a fanzine. 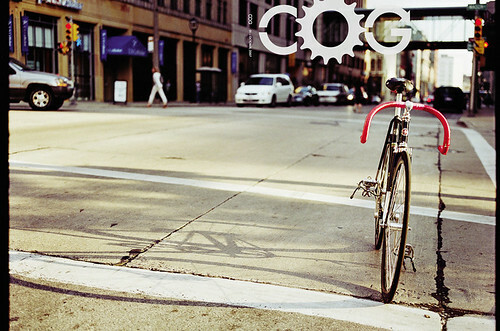 Below: Cover of Milwaukee-based COG, no. 1 October 2007. Photograph by Pater DiAntoni. Pride in the craft of publication is something that all these magazines share. ‘We want people to smell the soya-based ink, feel the stock,’ says Diprose. And being ‘spare-time’ editors and art-directors means they have a lot of freedom. COG, for instance, will never use manufacturers’ standard hi-res pictures to illustrate a review, and if the imagery for a story doesn’t work, it won’t run. The Ride does not have many ads to begin with and none of them is allowed to include prices; offers involving product placement are respectfully declined. The first issue of Boneshaker had no ads at all and, according to Coe, it will stay that way, for at least the first three issues. Even people who aren’t that into cycling are hooked by the imagery, the enthusiasm of the writing and the feel of these magazines. There is something about bikes that makes them perfect for visual, graphic treatment.